"Overall, Sundae + Mr. Goessl is more than a vintage duo, their authenticity and commitment to the genre rings true, and the genuineness shines through in their renditions of these classic gems. The duo takes you through delightfully fun romps, to late night after hours sounds. Like listening to Billie Holiday, you feel you are taking two friends along with you on your day – it has that instantaneous likeability." 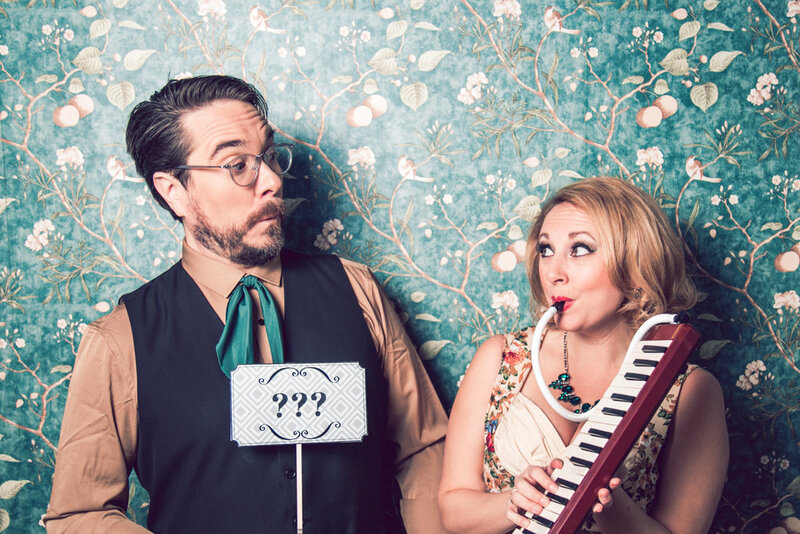 This husband and wife duo puts on a vintage inspired show that blends blues, swing, country and latin sounds. Performing hits from the roaring 20's to modern classics and originals Sundae + Mr. Goessl utilize technique, technology and unique instrumentation to give this little band it's big band sound. Mr. Goessl's mesmorizing finger-style guitar dazzles and inspires while Sundae's sultry vocal interpretations drip with charm and nostalgia. The celebrated newly-wed couple has been providing entertainment to music-lovers since 2014 and has left quite an impression -- from the casual listener to critics alike. With 5 albums, 8 national tours, 2 sponsorships and over 700 shows, this industrious duo is sure to put a smile on your face. Be sure to check out all this delightful act has to offer and see if they will be visiting YOUR town. "Hard-working award winners that have charm dripping off them...This is certainly an act you want to see live if they come your way." -- Chris Spector, Midwest Record.